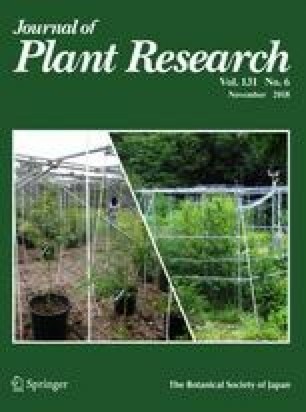 The effects of forest thinning and wood quality on wood decomposition in the mineral soil were investigated in a Chinese pine (Pinus tabuliformis Carriére) plantation in northern China by measuring mass loss and changes in wood properties (carbohydrates, lignin and nitrogen (N) concentrations) in wood stakes of two tree species—loblolly pine (Pinus taeda L.) and trembling aspen (Populus tremuloides Michx.). Stakes were inserted to a 20 cm soil depth in stands with three thinning levels (low, moderate, and heavy) and an unharvested control and removed after 1 year. There were significant differences in stake mass loss among the treatments. The species effect on the stake mass loss was marginally significant. Wood N content of both species increased during decomposition in all thinning treatments, and was only correlated with aspen mass loss. Wood properties of stakes placed in each stand before insertion (t = 0) were similar, except for pine lignin concentration and aspen lignin: N ratio, but neither had any effect on thinning treatment results. Lignin concentration increased and carbohydrate concentration decreased in both aspen and pine wood stakes during decomposition across all thinning treatments, which suggests that brown-rot fungi are dominant wood-decomposers on our study site. We conclude that thinning has a significant influence on the wood decomposition in the mineral soil of this Chinese pine plantation. The authors wish to thank Dr. Armando McDonald at University of Idaho for providing the methods and assistance for lignin and carbohydrate analysis and to Dr. Ann Abbott at the University of Idaho for the statistical review. This work was supported by the National Natural Science Foundation of China (No. 30972353).